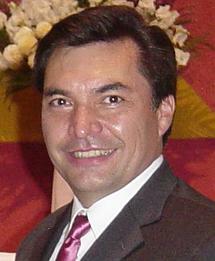 Carlos Ernesto Arriaga Becerra, Arquitecto especialista en Facilities Management, Construcción y Servicio Generales. Carlos Ernesto Arriaga Becerra, Architect with overall 22 years experience, 16 at manager/director level, heading the Corporate Real Estate, Construction, Facilities Management and Strategic Sourcing areas. Diverse and rich experience in Facilities Management, Administration & Services, Corporate Real Estate Services, Strategic Sourcing and Contract Negotiations, Vendor Management, Project Management, Budget Control, EHS, Security, Crisis Management Response and Business Continuity Plan in international top companies, such as Wal-Mart, Avantel (City Bank â MCI), The Trammell Crow Company and GE. Successful in reducing costs while improving results and service.Great experience with electro mechanical engineering & maintenance, Data Center facilities, Business Continuity Planning and Disaster Recovery Planning. Responsible for the location, selection, design, construction and maintenance of the administrative and sales offices in the country. Facilities management of 2 corporate buildings, 1 call center with more than 1000 workstations, and over 80 regional offices. Responsible for Facilities Management, Security, EHS, Medical Department, Fixed Assets, BCP, and Sourcing reporting to the Chief Operations Officer (COO). I developed an overall strategy for facilities management across the business, which resulted in the creation of internal departments to manage all facilities, and compliance and alignment with corporate standards. I designed a security process wich helped comply with banking regulations and savings of over 100 k USD. I reviewed and renegotiated key services to improve service levels in all facilities areas and reduce cost between 20 and 45 %. Led the Mexico and Monterrey occupancy evaluation which resulted in reduced rented space in 2 cities, having $2.2MM in savings. Exceeded Facilities savings target 3 consecutive years, exceeding it in 2008 by over 65%. For 2009 the Sourcing annual savings target was met in June so the following 6 months savings will be exceeding the target. Directed the construction of all new offices across the country within and below original budget. Responsible for assisting a finnacial company account in Mexico regarding facilities management and cosntruction, reporting to the Facilities and Engineering Director from TCC. Within the account, I was responsible for the areas of Engineering and Maintenance, Project Management, Construction Management, Transaction Management, Support Services and Facilities. For TCC MÃ©xico, I was also responsible for the part of Finances and Human Resources. â¢ I maintained 100% uptime in the main building (KPI for TCC) operating 24/7 uninterruptedly. â¢ I reviewed and I renegotiated, along with the area of Global Procurement, service and maintenance contracts, for cost savings and service improvement in all facilities areas, overcoming the established goal for the year. â¢ I had control of the operative budget for 2004 for all facilities management, keeping it with a variation below 2% (KPI for TCC) â¢ Along with the existing team, I elaborated and had control of the capital budgets for construction and remodeling, and all projects were carried out with a variation below 10% (KPI of TCC). Responsible for General and Support Services (part of facilities management) having as main function to optimize the use of the operational budgets of the area. â¢ I negotiated the contracts of Services of the company, improving the levels of service and reducing the operative expenses. â¢ I developed and implemented Corporate Policies that allowed a better control and use of the resources of the company. â¢ I integrated a work team that developed databases for control of vehicles of the company and communication equipments, reducing expense duplicity, and reducing corrective maintenance. â¢ I reduced the budget of office expenses from 4.5 to 2.3 million usd; in expenses of vehicles from 940,000 to 435,000 usd, and in communication from 760,000 to 455,000 usd in one year. Responsible for the location, selection, design, construction and maintenance of the administrative and sales offices in the country. â¢ I administered and controlled the real estate and facilities management budgets for 6 years. â¢ I developed and implemented the Corporate Policies related with Administration, Real Estate and Support Services, created a corporate help desk. â¢ I coordinated the design and construction of 2 Call Centers in MÃ©xico and Monterrey (the largest in Latinamerica at the time, 130,000 sqf), 4 corporate offices in Mexico, Monterrey and Guadalajara, and two data centers, for a total of 485,000sqf. In all the cases below the original budget (from 6 to 12%), adding a total of 42,000,000 usd. â¢ I coordinated all construction changes and remodeling in all office buildings of the company for 6 years. â¢ Along with the existing team I developed and had control of the facilities budget for all facilities for 6 years. Responsible for the coordination and supervision of the designs of Wal-mart Supercenter and Sam's Club stores. â¢ I participated in the development of a new specifications book for the stores, changing imported materials for national materials, maintaining equal or superior quality, but reducing cost from a 20 to 25%. â¢ I coordinated the design of 8 Wal-mart and Sam's Club stores in the country. â¢ As design manager I was responsible of overseeing construction sites to ensure proper design was being used. Cirsa is the gaming, leisure and entertainment holding of Nortia Corporation. Responsible for construction of new sites and facilities management of all buildings, including corporate offices and 20 casinos in the country. Activities: Executive Diploma in Telecommunications for Executives. G.P.A. : 4.0. Activities: B.A. in Architecture. Community Service: Archeological Magazine for the MesoAmerican Seminar in the UNAM postgraduate studies center. Thesis: “Sea Science Institute and Limnology at the UNAM in Mazatlan, Sinaloa” (July, 1989). Extracurricular Activities: Participated in the annual football match vs engineering faculty. Evaluated stability of damaged buildings and houses following the 1985 earthquake. swimming, water polo, squash, painting, colonial architecture photography, as well as Mexican classical/prehispanic, and chess.